In a previous post when discussing mindfulness and neuroplasticity, I mentioned that Tai Chi actually develops the mind physically by increasing the size of the insula in the brain. Tai Chi is one of the mind-body techniques that form part of Traditional Chinese Medicine and is based on Chinese philosophy incorporating Taoism and Confucianism. Tai Chi involves a combination of slow movements, body postures and mindful breathing. In Chinese philosophy terms, it facilitates the flow of Qi, “life energy”. Tai Chi has been shown to improve muscle strength, balance and flexibility and, when used in conjunction with Western Medicine, helps patients suffering from Parkinson’s Disease, Arthritis and low bone density as well as helping people to recover from the effects of a stroke. The real benefits of Tai Chi flow from its capacity to simultaneously develop the mind and body of the practitioner and thus enhance their mind-body connection. 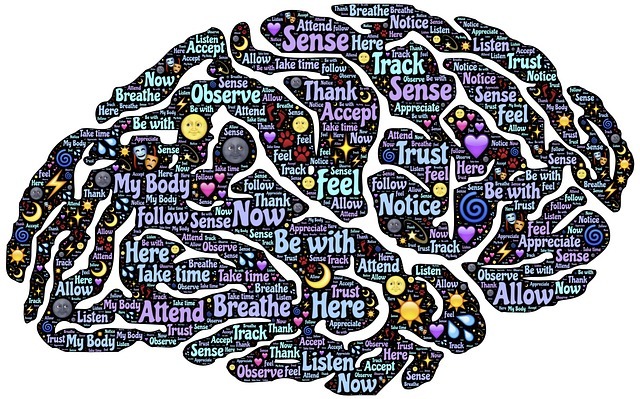 Alzheimer’s disease is a clear example of the mind-body connection because as the mind deteriorates so does the body. Tai Chi has been shown to combat Alzheimer’s. The power of Tai Chi to develop the mind derives from the state of “relaxed concentration” achieved by focusing on the coordination of mind and body in a series of slow, balanced and rhythmic movements, while focusing on a single thought. The focused attention develops mindfulness, improves memory and strengthens concentration. Dr. Shin Lin, in a talk at the UCLA Center for East-West Medicine, provided research results to show that Tai Chi produces new neurons during regular practice which suppress stress and build memory. Dr. Lin indicated that Tai Chi, besides producing stress release, also improves immunity and eases chronic pain and fatigue. Professor Michael R. Irwin, Medical Doctor and Director of the Cousins Center for Psychoneuroimmunology at UCLA, has demonstrated in his research that Tai Chi “promotes improvements in health functioning, viral specific immunity, and inflammation”. His area of research and practice is focused on the mind-body connection – “Psychoneuroimmunology” involves the “study of the interaction between the psychological processes and the nervous and immunity systems of the human body”. I have found from personal experience that Taoist Tai Chi helps both my mind (concentration, focus and creativity) and my body (energy, balance and fitness). I use the evidence of the mind-body benefits of Tai Chi to motivate my daily practice. Karl Romain, in discussing how Tai Chi trains the brain, suggests that if you cannot find time for meditation and Tai Chi, practise your Tai Chi because it has a meditation element, as well as provides benefits for your mind-body connection. I think the two practices, meditation and Tai Chi, are highly complementary and my personal goal is to achieve daily mindfulness practices that include both traditions. 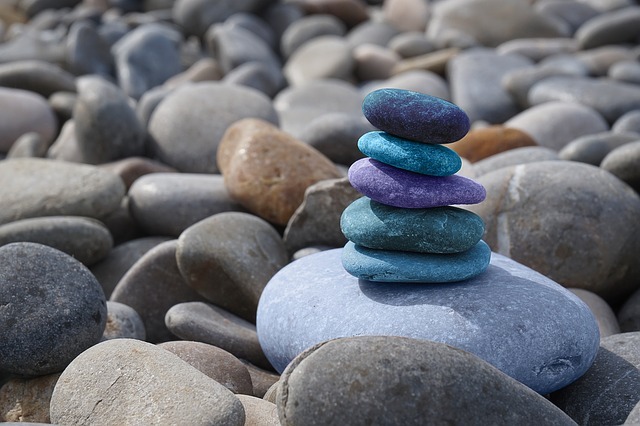 As we grow in mindfulness through meditation and/or Tai Chi, we develop improved health and wellness, develop our minds and deepen our mind-body connection. In an earlier post, I discussed how mindfulness meditation can help the management of chronic pain. In this post, I will focus on the beneficial effects of mindful meditation for the management of psoriasis. Psoriasis is a chronic skin condition that can last for weeks, months and even years and can recur at anytime. This skin condition is thought to be an autoimmune disease that typically manifests as a rash or skin lesion that can be exceptionally itchy and results in dry, cracking skin that can be painful. The skin problem is exacerbated because people with psoriasis, consciously or unconsciously, scratch the itching skin which intensifies the itch and increases inflammation of the skin. This vicious cycle can contribute to emotional and psychological problems. People who suffer from this skin condition may feel embarrassed to be seen out in public and may withdraw emotionally leading to depression. The negative emotional effects are aggravated by the difficulty experienced in attempting to heal this persistent skin condition – a debilitating disease experienced by 450,000 Australians and over 125 million people world-wide according to the Skin & Cancer Foundation. 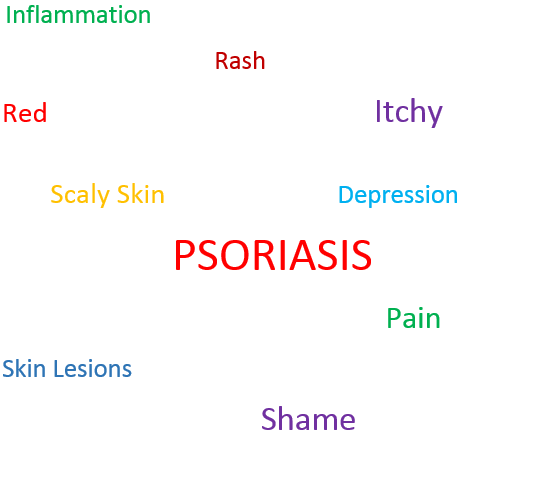 There are numerous triggers to cause psoriasis in an individual – stress and infection being two of the major triggers. The inability to isolate the primary trigger for an individual adds to the anxiety experienced by the psoriasis sufferer. Jon Kabat-Zinn, a renowned mindfulness expert, undertook research in support of an approach to curing psoriasis using meditation as a means to heighten the effect of the treatment. His research involved two groups of people receiving treatment for psoriasis, one group practising meditation during the treatment and the other group, the non-meditators, taking the treatment as normal. He found that “the meditators skin cleared at four times the rate of the non-meditators”. And it is a beautiful example of the mind/body connection because you’re doing something with your mind and something is happening in the skin. So it just doesn’t get any better than that. The Psoriasis & Skin Clinic offers a number of meditation methods to reduce the stress associated with psoriasis and to build emotional resilience while suffering from this skin condition. They suggest a form of body scan meditation which involves concentrating on a specific part of the body where itching or pain is experienced., breathing deeply and focusing your mind on that itching or pain to reduce or alleviate the discomfort. If you are sitting on the sand on the beach, feel the setting sun warm your face, feel the breeze on your skin, smell the ocean air, taste the salty tang on the breeze, hear the waves washing right up to you and as you hear each and every wave, release all of your stress and throw it onto the waves to wash out into the ocean. As you grow in mindfulness through mindful practices such as these meditations, you will be better able to manage the discomfort of psoriasis and assist your healing process, whatever treatment method you adopt. The experience of itching or pain can even become a catalyst to mindful meditation to relieve the discomfort.